We are always aware of the increasing demands on children’s time. As schools introduce more and more tests while slashing down on break time, children have less time than ever before to just be children. Our teens have not only increased workloads, but social pressures that we are all still learning to navigate, especially the tricky ground of social media. On top of this, it always feels like students are busy with cycle tests and exams. The tests are starting sooner and sooner, and like American schools, South African schools seem to be developing a toxic culture of test-taking that has 9 and 10 year olds swotting an unrealistic amount for tests that seem to have little value other than teaching them how to cram. But, whatever difficulties the school system presents, wherever you are in the world, school still has value in transferring knowledge and skills, and failing finals has very real consequences. We definitely understand that schoolwork comes first. However, we also believe that the time students spend in the dojo is incredibly valuable in managing their stress. It is an hour away from a screen and from the books, spent challenging entirely different parts of their brains and keeping their bodies moving. It is also an opportunity for socialising and relaxing, for them to see friends and to share some of their frustrations. A good dojo always feels like a refuge from the challenges and pressures of daily life, and this is especially important during times of relentless stress. It is also an ideal way to teach time management, as children who love the dojo will quickly learn that if they get their homework and studying out the way, there will be time for karate. Teaching time management from a young age will ensure a life-long discipline that will carry them through the challenging years ahead, especially at university! Chat to your instructor about changing class times to earlier or later just over the exam season, or to reducing classes to just once a week for a month. We would always much rather be flexible in our schedules than lose students! A disciplined study routine will ensure that time is set aside for karate – you only need to find 2 hours a week out of 168 to maintain your progress. Kata are the living textbooks of karate – a student can do kata at home during study breaks, which helps combat the effects of sitting too long as well as restoring mental focus and energy through increased oxygen intake. Five kata per 15 minute break x 5 a day = 25 kata! That’s a wonderful way to keep up with training when it is impossible to get to the dojo. Stay involved in the dojo – once you lose momentum, it becomes too easy to quit, and that path is filled with regret. 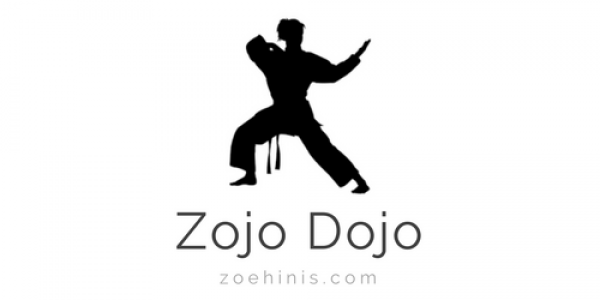 For advice on how to prevent this, read this post on Returning to the Dojo. Parents, we really do get it. The schools are piling on the extracurriculars and reducing the amount of time kids have to play and explore their interests. And now, you’ve got to help them get ready for the umpteenth test of the term. On top of that, you’ve got to get them to the dojo as well. It is up to us as instructors to offer high-quality karate that serves as a vehicle for important life skills such as discipline and self-confidence. However, developing these skills takes time, and this is why we always insist on regular attendance. Slow or fast doesn’t matter – progress is progress, but it can only be made when students continue their training with patience.